No recent planning history available. Associated planning history will be available from Wicklow County Council. REA MURPHY HAVE PLACED THIS PROPERTY ON RESERVE FOR THE SUCCESSFUL BIDDER. REA Murphy brings this rare opportunity to secure a 1 Hectare plot (2.45 acres) in the most scenic setting of Kilmacanogue against the appealing backdrop of the Sugar Loaf mountain. 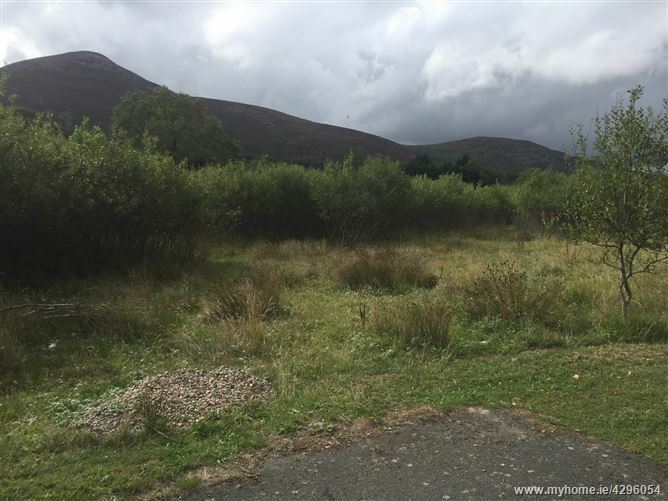 Located adjacent to established residential properties, the plot must have the potential for one-off house development, while the proximity to a number of established commercial outlets must offer much potential for a number of alternative uses. Located on the slip-road known as Moorepark, serving 6 existing residential properties. The property is adjacent to established housing and only 1Km from Kilmacanogue Village. 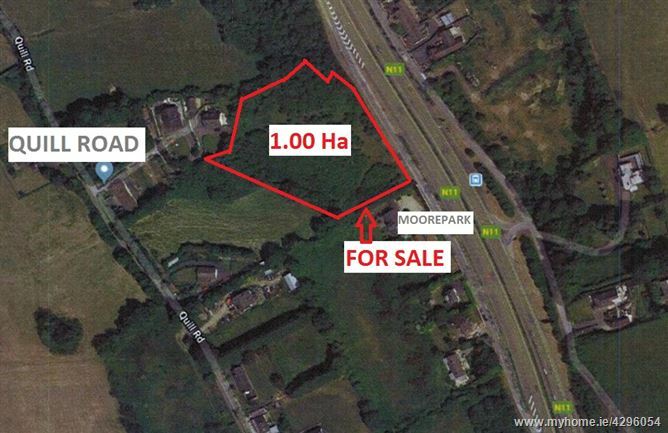 The property can be access from the Moorepark slip road. Please notify REA Murphy prior to entering on site. Access is totally at the Viewer’s own risk.